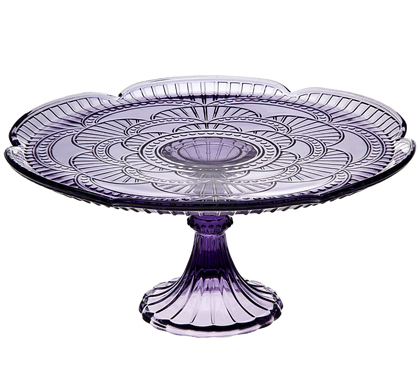 This Marcela Amethyst Cake Stand is made from vibrant glassware that will never fade or wash out. 10.75 diam. x 5H inches. $44.99 Sale $26.01. Buy here. 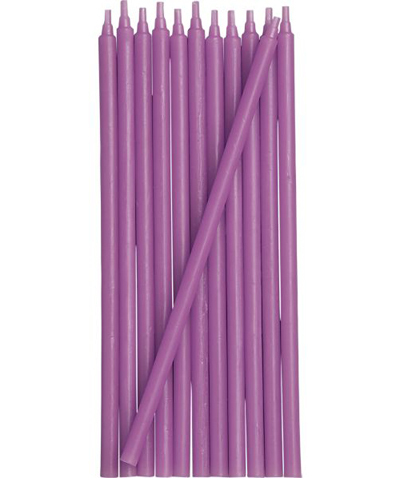 Tall, thin and tapered, this long-burning Set of 12 Purple Party Candles represents a sophisticated take on the traditional birthday candle. 6″. $2.50. Buy here. Add a little color to your party by reaching for these sweet and stylish Bella Cupcake Couture Paper Party Striped Straws. They are great for any gathering and will add some flare to your next house party, wedding, baby shower, bridal shower, birthday party and more. Your guests will adore them. 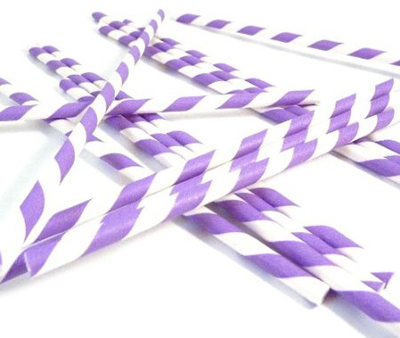 24 Festive Paper Straws enclosed. $5.99. Buy here.